It’s February and Crazy Horse Campground is full of snow birds. 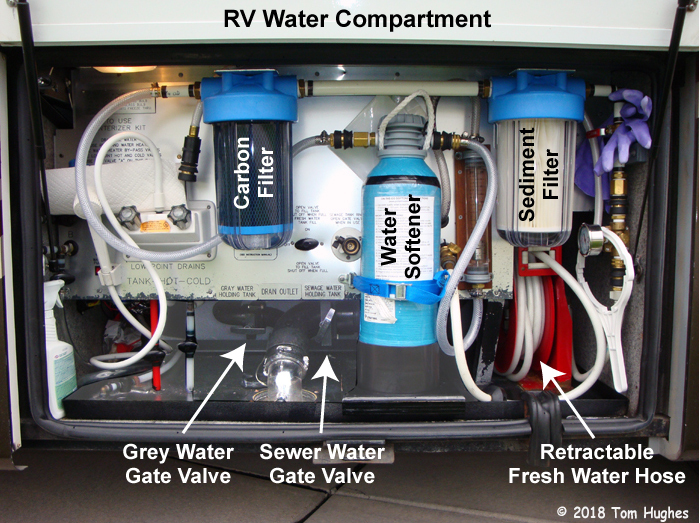 For the last month or so, I’ve been fixing things in our RV. Oh joy. Here’s what I’ve been up to . . . 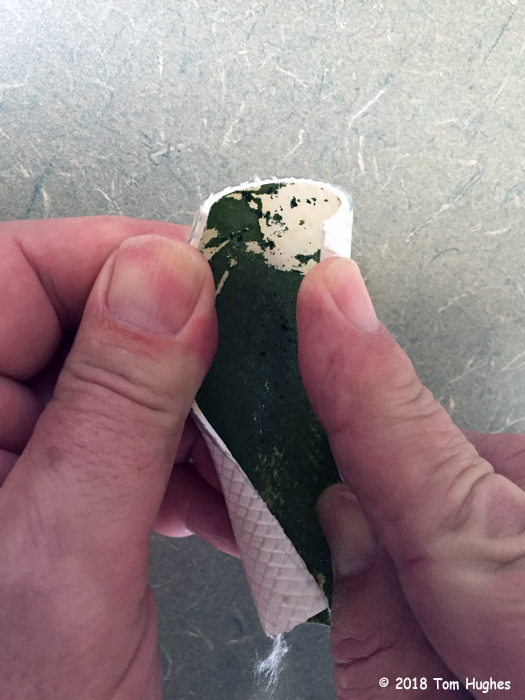 So I checked the filters in our motorhome’s water compartment, and sure enough, there was a definite green tint in our sediment filter. Mmmmm . . . I had a bad feeling about this. 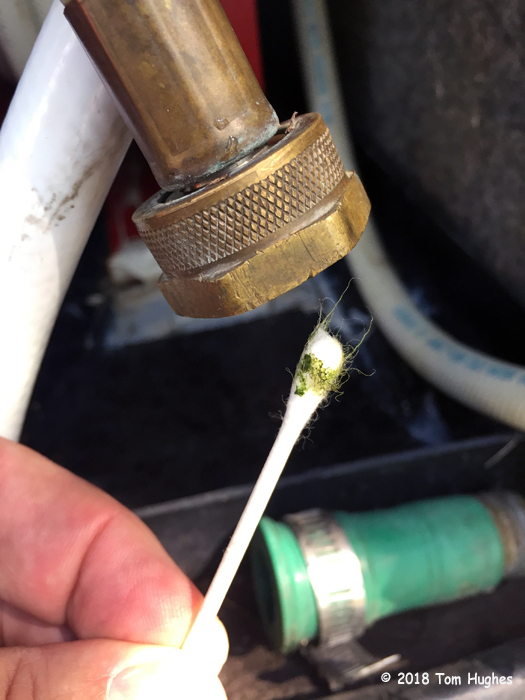 To check my suspicions, a used a couple of cotton swabs and wiped the inside of my water hose . . .
Next, I cut off a small length of water hose and sliced it open . . .
We probably picked up the algae while we were on the road last Summer. Ugh. There’s no easy way to get rid of it, so I ended up replacing our 35-foot water hose and nuking our RV plumbing with a heavy doses of bleach. Fingers crossed. While we were traveling last Summer, I noticed that one of our holding tank gate valves was leaking. So I ended up replacing both the gray tank and black tank gate valves . 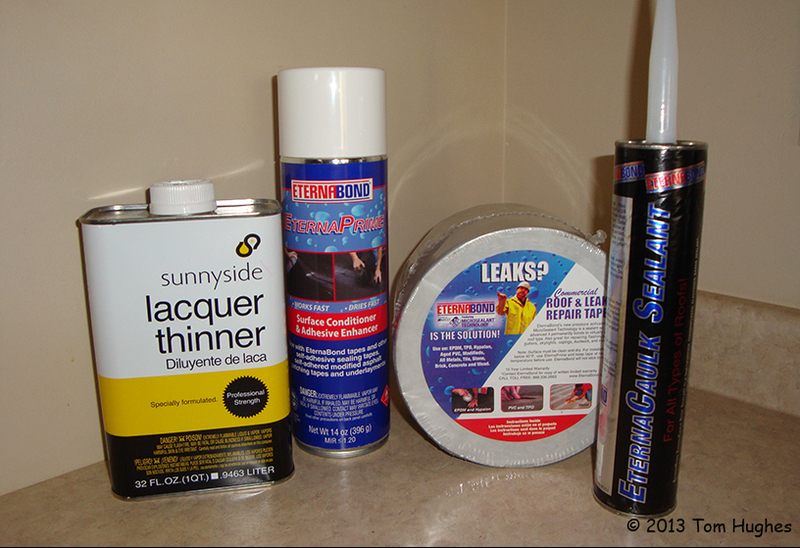 . .
About 5 years ago, I did some repairs on our RV’s roof and put down some Eternabond tape along the roof seams. However, after 5 years under the SouthWest sun, the tape was beginning to deteriorate . 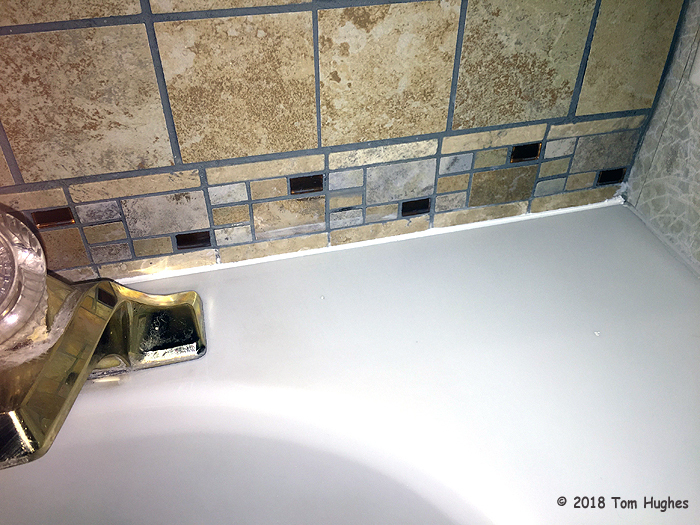 . .
Sooooooo, I had to remove the old tape and then apply the new tape — a slow, fairly arduous job. First, a heat gun is used to heat up the old tape. Then it’s slowly pulled off . . . and the tape adhesive is stickier than hell. This took a little over a month. There are several “little” chores left, but the big stuff is dome. Lead in Milwaukee water? Yikes! This is better than watching ‘This Old House’ Tom.. very interesting stuff. You do such a fine job of explaining what you’re doing. Thanks! I would guess that the green “stuff” in the hose was down stream of the carbon filter. Those things will take all the chlorine from the water leaving no residual protection from “slime in the ice machine” or tubing. My UV filter stopped the algae from getting inside. Hey Tom, after replacing your Eternabond failed tape, you might consider using their Tintable UV Protector. 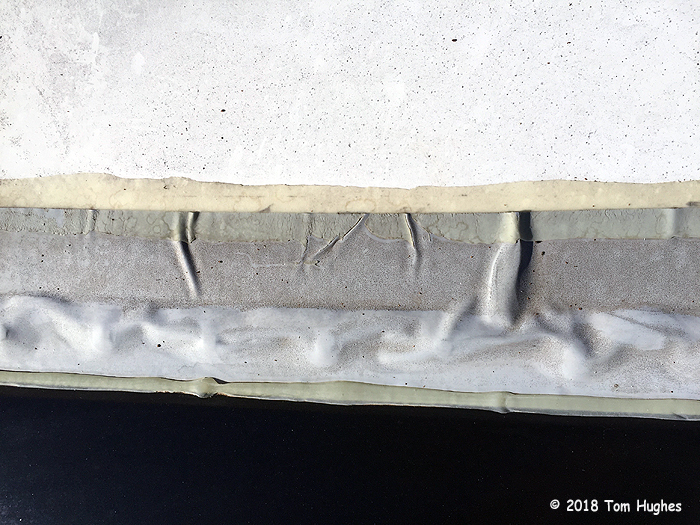 The roof of the Toyota Center in downtown Houston is covered with closed to a dozen patches using this stuff. Not sure if that stuff would give you added years of life to your tape but it is supposed to.